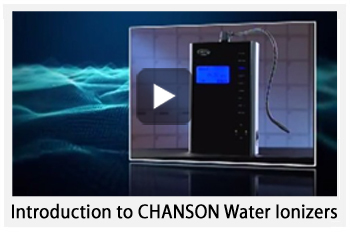 We at Chanson Water Canada have dedicated ourselves to providing Canadians with the best water ionizing equipment. As a wholesome provider of water ionizing equipment, we want to be able to ensure that everyone has access to good, filtered drinking water. We believe that a happy customer is a well-informed one, so we’ve put together some helpful facts about alkaline water. Take your time to discover the science-backed truth about ionization. When you’re ready, take a look at our own selection of products to get yourself on the path to better health, and a brand new you! If you have any questions about Alkaline Water or Water Ionizers please feel free to contact us at any time! Is Alkaline water really better than regular drinking water? The answer is: Yes! Regular consumers of ionized alkaline water report they experience boosted metabolism, absorb nutrients like calcium better, and experience less stomach trouble such as heartburn. In fact, a study in the Journal of the International Society of Sports Nutrition showed participants that drank alkaline water reported better levels of hydration and more balanced blood pH levels. And that’s just one of many scientific studies that support the benefits of going alkaline! Helps with dehydration and skin health. To see more benefits of drinking alkaline water, check out the section below! Alkaline water is water that is considered less acidic and potent than regular tap water. The reason why it is less acidic is that it contains more amounts of alkalizing compounds such as calcium, potassium, magnesium, silica, and bicarbonate. What is an Alkaline Water Machine? Water ionizers are also known as alkaline ionizers. The water ionizer system increases the pH of the water by separating the water stream into acidic components and alkaline components. The purpose of this is to make the water healthier and cleaner for consumption since consuming alkaline water boasts a variety of health benefits. 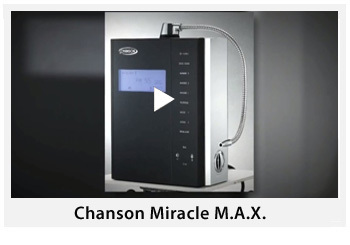 Chanson Water Canada will provide you with a high-quality water ionizer that will fulfill its purpose. Which type of water ionizer or water filters should I buy? This all depends on your personal preference. All Chanson products are designed with your needs in mind. That’s why we offer so many options, from counter-top to under the counter models. We even have build-your-own bundles so you can pick and choose which ionizer features you like best. We can customize your water ionizer depending on personal preference such as where the ionizer will be to how you want your water to be ionized. From ionizers to filters, cleaning supplies and even plumbing fittings, we are ready to help you take your first step into a better and healthier life! What is acid water? Why do some water ionizers let me make it? Unlike alkaline water, acid water is typically not meant for drinking. When water gets ionized, it gets split into two components: acid water and alkaline water. Alkaline water is meant for drinking while acid water can be used for other purposes. Instead, ionized acid water is used for its amazing disinfectant and sanitizing abilities. Used as a topical antiseptic, home users find that acid water cleans skin better and can work wonders for your complexion. It’s antibacterial, which makes it perfect for washing fruits and vegetables. Some even like to clean their most high-use surfaces in the kitchen and bathroom because it can destroy dangerous microbes such as E.coli and Staph. In short, acid water is a more natural and safe cleaning option than using hazardous, damaging synthetic chemicals! As a bonus, getting a water ionizer will give you multi-purpose – drinking water and water used for cleaning purposes. It is both efficient and cost effective! What are the benefits to drinking alkaline water? Of course, there are even more studies being conducted right now to verify what most ionizer users already know: Alkaline and nutrient-ionized water is not snake oil; it’s a real, better way to keep yourself healthy and hydrated.